Chūsenko Teitokuson was born in Bashō-fu (Dongchang fu). He was master of the use of a particular type of sword called a hisa, while riding a horse. 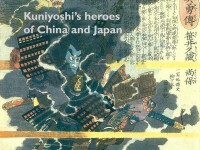 At the battle of Kyūshū, his army was attacked by an enemy during a night raid, and Teitokuson was bitten by a poisonous snake in a bush near Renshūon during the counterattack. The poison spread to his stomach and caused him to suffer a painful death. 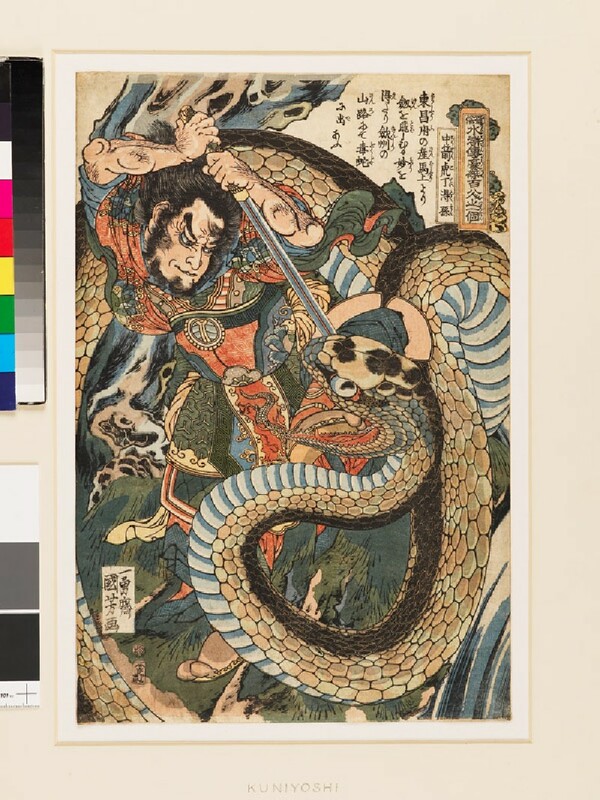 In this print, the enormous snake is surrounding his body while Teitokuson is trying to strike the snake with his sword using both hands.